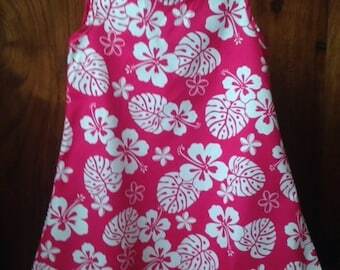 This is the perfect dress for your young keiki (Hawaiian for child), ideal for twirling, and what little girl doesn’t like to twirl!? It is cool, comfortable, adjustable and stylish; and did I say twirls!! We believe that easy garment care is a must when you have kids so our garments are made of 100% cotton for breathability, flexibility and durability. 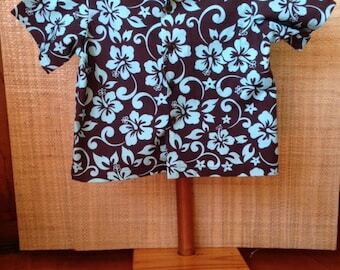 Care Instructions: Each item from Keiki Kovers comes with care instructions labeled on the clothing. We suggest machine wash-cool & Machine or line dry. 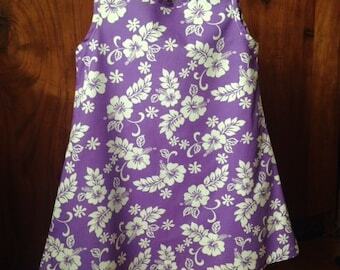 This stylish, easy to wear Halter Swing Dress comes in a grey, pink and white abstract floral. 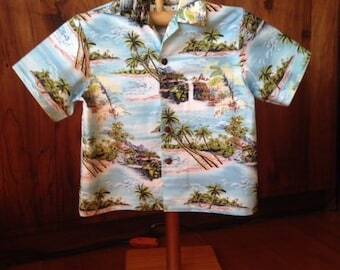 Available sizes include: 2T, 3T, 4T, 5, 6, 8. 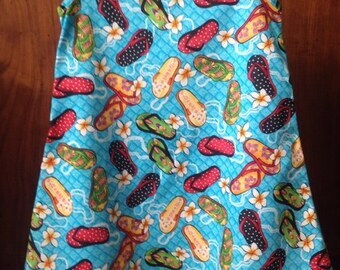 * Each item, designed by our in house clothing line Keiki Kovers, is a unique, handcrafted product, so please understand that placement of colors and image layouts may vary slightly to the pictures shown. 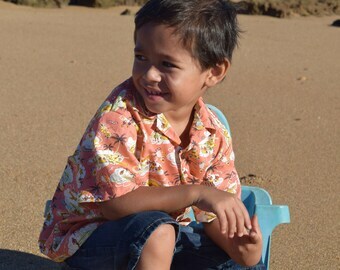 * Each item is delicately handmade on the garden island of Kaua`i and every attempt is made to use locally sourced materials. 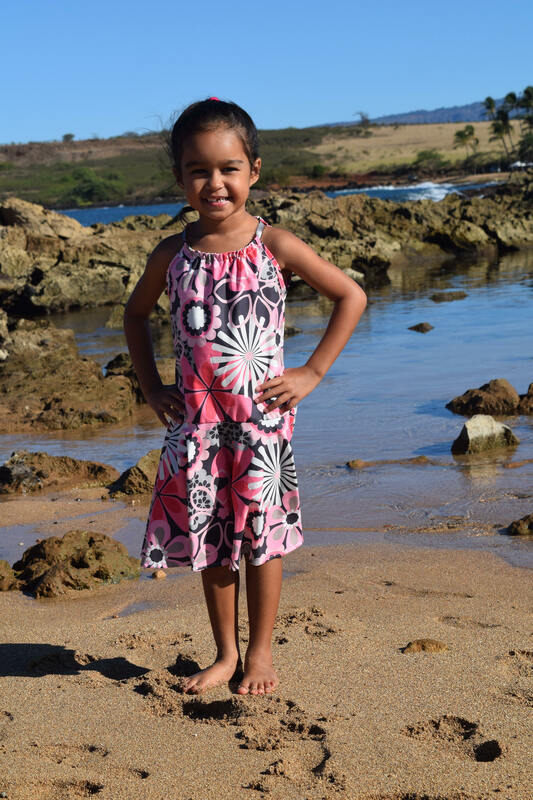 Kids Cats and Canines is a proud participant of the Kauai Made program and was awarded the "Best Kauai-Made" Fashion Product for 2014! What an honor!! * Please contact me if you have any questions or comments. We absolutely love this shirt. The material and color is beautiful. Renee also is an amazing person who went above and beyond for me. I gave this dress 5 stars because it is better than I expected. Very professionally crafted. I love this dress! It is a birthday present for my granddaughter. Can not wait to see it on her. It was shipped on time. Thank you! Love it, love it, love it. It arrived fast and the color, the material are great. Thank you so much! Super cute and great quality. Seller was very easy to work with and knew I needed it in a hurry. The dress even comes labeled with the size, which is great for future kids! We accept credit cards, Etsy gift cards, and PayPal. If you do not have a PayPal account, you can create one during check out. PayPal is a safe, confidential method of providing information. Through PayPal I can accept MasterCard, Visa, American Express and Discover. I make every effort to create quality clothing and your satisfaction is extremely important to me. If for any reason you are dissatisfied with your purchase, or you need a different size, please contact me within 10 days of receipt and I will gladly exchange the item for you and will cover the cost for shipping within the Continental US. If you are completely dissatisfied you may request a full refund in writing within 10 business days of receiving the item. The item(s) must be returned in the same condition as they were shipped. Refund will be given as money back. We are not responsible for damage incurred during shipping. 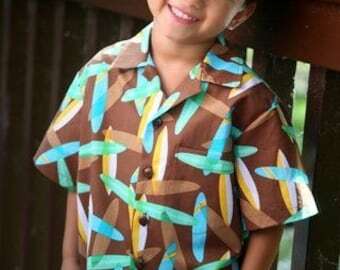 -- Each item designed at Keiki Kovers is a unique, handcrafted product, so please understand that the placement of colors and image layouts may vary slightly to the picture shown. 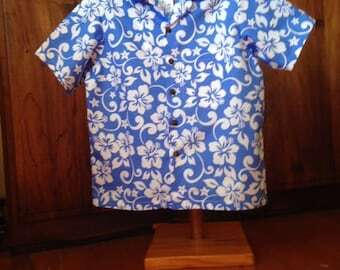 -- Each item is delicately handmade on the garden island of Kauai and every attempt is made to use locally sourced materials. -- I cannot accommodate custom orders at this time. -- Care Instructions: Each item has care instructions listed on the clothing item. -- Please contact me if you have any questions.